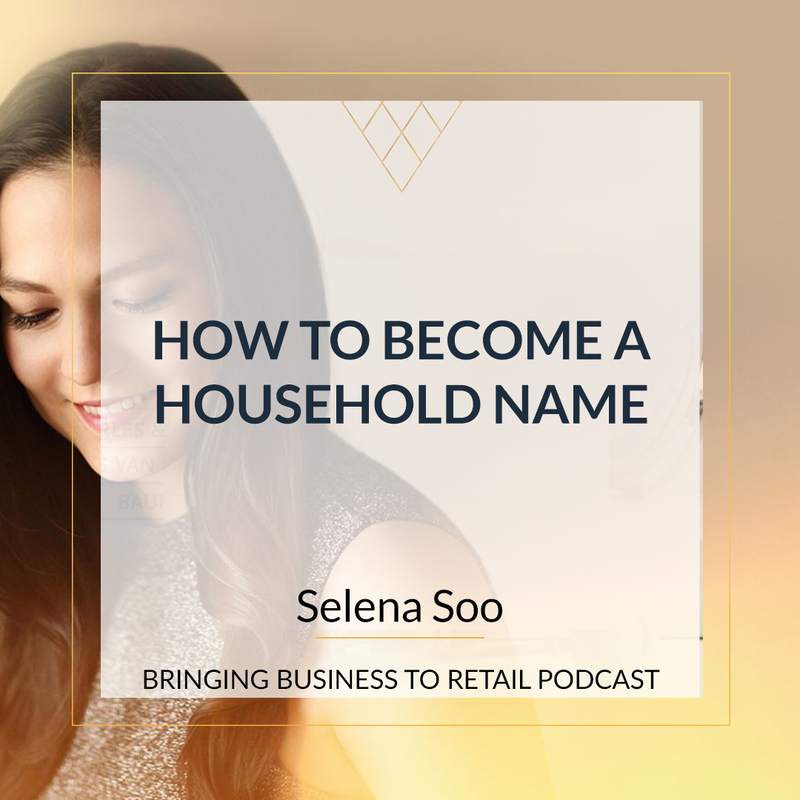 Salena: Hey there and welcome to this week's episode of The bringing business to retail podcast. We all know that retail is a visual and when it comes to visual marketing whether you feel creatively challenge what kind, or your super comfortable with creating images for your brand. We can always grow by having some expert advice thrown our way. 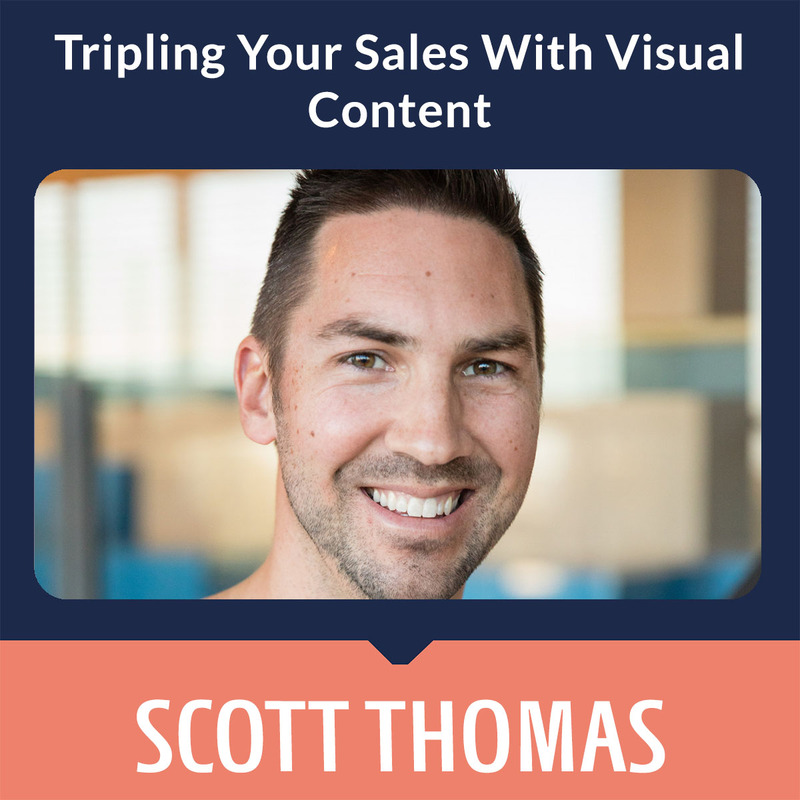 So I've brought Scott Thomas from creatively square onto the podcast to talk all things visual marketing. Welcome to the show Scott. Salena: So tell us a little bit about Creatively Square. Scott: So Creatively Square. We founded the company 18 months ago. And what we do is we match brands with content creators around the world to do the visual content. So Fred supplies a brace and according to that we go and identify that. There are social channels, there is the written briefs I support the website and we use all that data as well as internal links to match them with the right content creators. No matter where they are located in the world. There is a community that's pushing 20000 globally. Salena: So what kind of images would they take. Like are we talking about just images to put on a website? Are we talking images for a promotional campaign or just social media like what kind of images would your people make for their customers? Scott: So we specialize in store imagery. So it's not strike production with white background, what we do rather decide what the product is. We try to emotional ways about it. So rather than get studio in a set and a photographer to create that kind of content. We just try to match with people who already have the right aesthetics. So, for instance, we had one of the company came us who were selling kids night lights, and so that quite was 20000 those because I had to go and set up a bedroom studio and get all the props in the set and everything. So instead of that platform matching with three content creators around the world that had fantastic little kids bedrooms. So they already have the props,they already have the board aesthetic. We just put the products in those locations and let these expert content creators...it looks amazing. Salena: Wow and I guess the great thing about that is it's just not formulaic. You get different designs because everybody has a different way of shooting pictures and they have a different connection with a product. So you getting lots of different experiences is what I would like to call it rather than just the stock standard photo shoot with a photographer and a stylist who we're going to put their own spin on things. Scott: That's 100 percent right. So we provide a consistent source of fresh content. Sorry when you come to us we'll match you with a handful of people who we think will do a great job and then subsequently you come back to us again we can use the same people if you really loved them or we can write site different people to do the same thing. So it's like having your own creative community constantly creating new content feel burned. Salena: Okay, so tell us why is visual content important. Like apart from obviously having some pretty pictures on your website why is it actually important to rate how brand or to any brand? Scott: So especially on our bands it's the first thing people see and I make a decision based on those first images they see as to how they perceive your brand, whether it's high-quality, low quality, is it shaped, is it fast. All those things we process it in milliseconds when we first see a website for the first time. So those first impressions count . 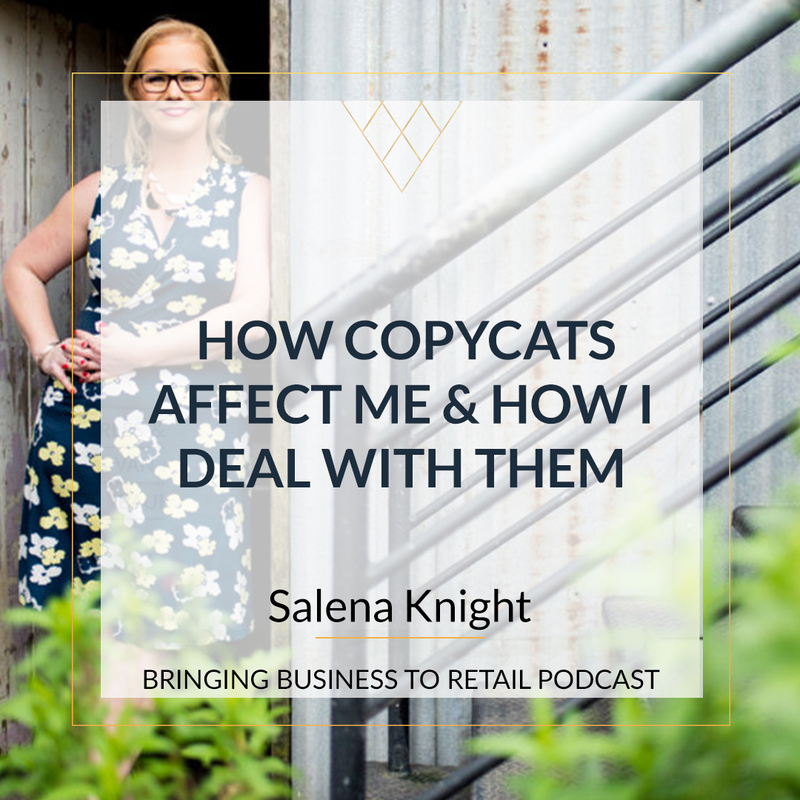 Salena: So that's, you were talking then about the impressions, I guess that's the connection that you want your customer to have and to make them stay and look a little bit longer around your website. Scott: Exactly. So it's this really interesting data adding the types of store content, UGC store content that we provide. If you add that to say product pages that only have a product shot with a white background. It increase click through rates and that's the cut rates by 3 to 400 percent in some cases. Salena: Well we love stats. We love to talk about Stats. So just a few clarifications that UGC is user generated content which means that essentially the community is out there making content for you and it can be images, it can be things like reviews and testimonials and three to 400 percent increase. If you have something more than a flat lay or a day pitch picture. 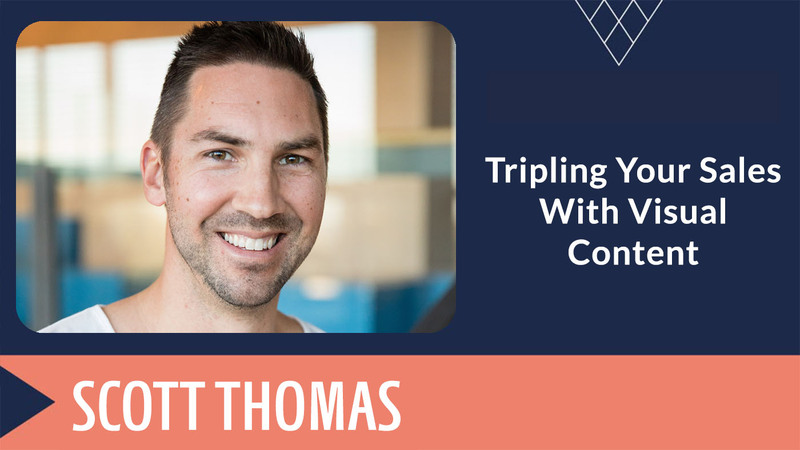 Scott: Exactly yet and you're right, user generated content is content that is being generated by your customers, by your users and wasted in this sweet spot. It's a mix of having a brace and being something that's unbrand and that use a So you still have an element of control, what types of content what you'd like to see. There's certain things that can't be included the shot but the stall is that UGC stall. So one of the challenges that comes with using UGC is licensing. So you can't just obviously download an image from Instagram and put it up on your website or use it in advertising. You need to get the license for that and that can be complex, time- consuming process. So you are creating the content from scratch in the right style but also adding in what you bought to see your brand your brakes to it,is the sweet spot that we try to play. Salena: Okay so tell us a little bit more about a brief that you would give because this is a this is going to be new to a lot of people who are listening. I'm sure that as we go along they go to get really excited about what UGC, we're talking about visual marketing can do for their brand. I mean heck if I can get somebody to outsource all those bloody curated social media Instagram pictures. If I could work out a way to do that for my brand I would be selling it. I just haven't worked it out yet, which is bringing me to my question. When you ask somebody to fill in a brief and you've decided to go ahead with you. What kinds of things do you ask them? And the reason I ask you this is because the people who are listening are going to be sitting there thinking, but I don't know what I don't know. 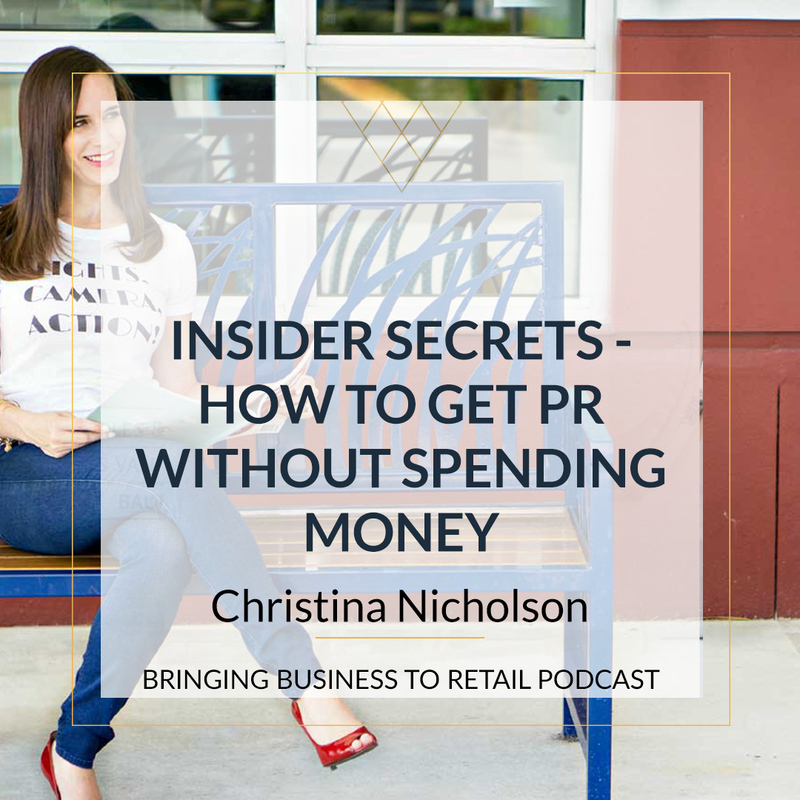 I can give you my product and I can tell you a little bit about my brand, but if I'm not creatively empowered, then I'm kind of hoping that, if you've listened to this podcast if you know that I give stuff to my graphic designer and I just say can you make it look pretty. And we've been working together long enough that she can. But for the people listening, this may be a little bit scary. Scott: Yea, so that's actually the situation where we do our best work in my view. Sorry but we have businesses that have that kind of situation where they might not have a data or brand strategy and brand. What we've done is we keep that brief really really short. So it can be a couple of sentences in the written part of the brief and then what we do is we ask you to supply images that you like. There's a space where you can upload images and you can just take them from the internet and find stuff like, I like this style, I like this image. A lot of our clients use a Pinterest board as a mood board and they're really easy to set up. You set up the guards and how to do that if you haven't done it before. And you can literally just go across the Internet and add images you fancy this Pinterest board. So once you've done that you supply that. And based on that our internal creative thing as well as the network of content creators, they can go and look at that and interpret that and identify what actually is going to work best for your brand. So when they got this more creative freedom, when they don't have a lot of guidelines and direction, that's when they come up with their best work because they have the space to convert something it looks amazing. Salena: Ooh I like that. I like that. So tell me a little bit about the process. You have a lot of people in your community that you can call on to make those pictures. So how do you work out? Did you say you had 20000 people? So how do you work out which of those 20000 people I should be working with? Scott: So we have a mixing tool. So we have some internal mixing tools that go through a profile of content creators when they sign up and we asked them important questions, not only on the style of content of their work and what their skills are, but we asked them what they're passionate about. What types of industries, what types of brands, what they value? So for instance we had a client who sells vegan foods, we met with the vegan content creators. We things like that are important as well. So the process is once you purchase an image package from us and submit the briefs. We get to our users and sort of scale that 20000 down to our top maybe 50 or so. And then we'll go through those top people and we actually have a set of creative people go and look at and identify the right match from that short list. So it's a mix of technology and expert creative talent that work for us. Salena: Ok so tell me a little bit more about the process when I purchase an image pack for you. So just to clarify, you aren't like some companies where I pay and influence it to take a picture and post it on their Instagram. You're solely creating photos for me? Scott: Yes exactly. So the difference between influencers and what we do is influencers, you get a two for one in effect. What they do is once you pay them they'll go and create content and they'll also post the content. So you're getting distribution and messaging and awareness. The downside and the underlying assumption is that an influencer by that definition have a certain number of followers and the assumption is that the number of followers correlates to the quality of the content. So you can have an influence with a million followers but the content they create is terrible and boisterous. You can have people that have 50 followers create amazing content but they don't have a lot of followers so that is not an influencer. So what we do is we separate that. So we're putting the distribution of the content aside. All we do is focus on providing content to brands to using the right channel, so you can use it through your own website, your organic structure, you're paid advertising. We have clients also using it to point of sale printed material. We had a client last month using a content for elevator rappers, So these the images once you have them they are yours to use anywhere. So that's the difference between the answer. Salena: And that was going to be my next question, is do I actually own them in perpetuity or do you just own them for like a one-off go? Salena: That is super important if people are listening and you are looking to get somebody to take images for your site. Make sure you own them. Scott: Yeah. So just to clarify we are in the images. Each of our clients gets an exclusive license in perpetuity to use it. So the reason for that is that sometimes we want to be able to use the images on our website and they are marketing material and if we're ever going to do that we do check with the client but we do so. But that's the reason it's an exclusive license, it's indefinite. One of the issues we identified when we started our company was the licensing was a real headache for people going to somewhere like Getty or Shutterstock and seeing pages and pages of different variations and crossing in ways you can't use it and how you can use it. So what we do is simplify that. So all the images packages include a digital license where you could use anywhere online in perpetuity and then if you want to use the high-resolution version for offline use, then it's just an additional fee that you could pay per image. Salena: Okay so let's just back up there to the license part which was, you said that you own the photo. Yes. So at what point is the exclusivity. So when you're saying you own the photos, you might just use them on a testimonial type page or a portfolio page. But you're not going to go out and use them for marketing campaigns other than to promote that client. Scott: Yeah, they're exclusive for that client. We don't resold them to any Internet content. We resold them to anyone. They're not going to be used anywhere else. 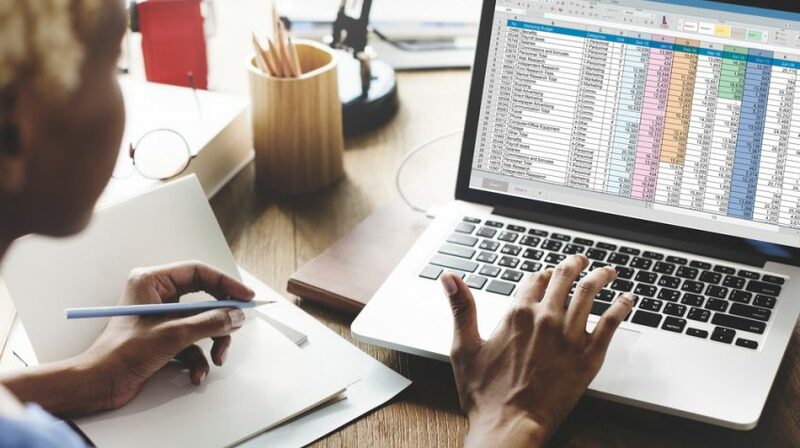 But we do use all of that content in our tours and analytics and we're starting to get on the path of using visual OI, these kinds of machine learning algorithm. So proved that matching between clients and creative. So they have to use electronic data is eternally as important to us. But the content is exclusively licensed. So it is just for you. No one else is using it. It won't be shared anywhere else. The content creators can't share it. We can't use it except when we ask permission to use it in our arketing. Salena: So we're not going to find images up on some stock photo site in six months. Salena: And I guess that's something else to be really conscious of, if you're looking at engaging a company whether its your company or someone else, to make sure that what are the terms of the use around the images. So let me just ask you another question, if it’s a product based photo shoot you are talking about the nightlights. Does the company send the nightlights to those people? They get to send their choice of products to the content creator. Scott: Exactly. We'll provide you with the content creator and address where to ship the products and ship the products directly to them. Salena: And do they get them back? Scott: If they need them. We can return them as well. Salena: Ok just covering all the bases there. Alright so tell us. I think retailers, they get so frustrated when you send things off to magazines for photo shoots and product callouts and then you just never get it back. I just like to be upfront about what the process looks like. Scott: Yes, sure, so what would happen if rates or other kinds of you go to our Web site for an image package and choose the images you like. Based on that you'll receive a link to a brief. Once you've completed that level which normally takes us about 24 to 48 hours. We will supply you with the address to ship your products to. You ship products there. And then the content is delivered to you within two weeks. So it's really straightforward. And the way the content is delivered you can download all the images you ,can purchase individual ones if you want that full high-resolution print version. Now we ask you to select the images you like best out of that package and we use that in subsequent packages with those. So if you come back to us next month, next quarter. We use the content we've already created and your favorites out of that content to provide the content creators we use next time. So over time we get to learn what you like, what you don't like and we constantly improve no matter whether we're using the same creators or we are using new people for every project. Salena: Okay that's interesting. Let's just talk about that a little bit more. So say for example I choose 20 photos, do you give me more than 20 to choose from? Scott: No we don't. So that's what's a little bit different from our model. We have standard packages of 10 25 or 50 images and we can do other sizes on demand if need be. But when you purchase say 50 images, we just provide 50 minutes. It's a little bit different from some of the old models that are out there. And there's reasons for that. Salena: Okay, what if I don't like them? Scott: Well that's a little bit of a risk I suppose. But what we do is we look at what was existing in the market. And there's a lot of models out there that are competition based so you put up a brief. So you asked if we can create images, do some kind of work, create a design, and create a logo. You get hundreds back from all these different people and then you select the one you like best and only pay for that one. So a lot is done to select that model. Firstly we just fundamentally believe that was the wrong thing to do. So we flipped that on its head and made a decision that when you purchase an image package from us, you're only going to get that image, that number of images. And the way that works is that it becomes; that means the quality that matching process has to be incredibly hard. So we're very particular of who we approve to work in our platform. That's the first step. Then when the content is delivered to us internally we have internal creative experts, craft design experts, photography experts that go and check the content and make sure we're happy with the standard of it before we provide it to the client. And so far the last 18 months that that method has been working. So we've had for anyone familiar with net promoter stores where everybody asked that question of how likely you are to recommend the service to a friend or coworker. I had stores in the mid-80s. Which means that over 95 percent of clients have ranked either 9 out of 10 or 10 out of 10. Salena: That's fantastic. I love it. So then speaking of the gig economy. Does that mean that every content creator is going to be paid? Because I know a lot of UJC it's exactly what you said the cut of the brief goes out you, might get a plethora of people who submit their design. But it's a win or lose. You either get your picture picked and you get paid or if you don't get picked, you don't get paid. How does your system work? Scott: Exactly. So yes is very different from that. So every content creator gets paid for every image in our platform. So when we are paid for the 50 image package for our customer, then we pay our content creators for 50 images or 10 images across five different content creators or whatever the breakdown may be for that project. So our promise to them is that they are paid for every image we ask them to create for us. And while some people may see the downside from a customer point of view you know you could go and you might get 500 images from another site and actually get to choose 50. There's actually an economic benefit as well. So if you look at it from the other side from the content creator or design or whatever it may be for these new economy platforms, the maths is exactly the same. So if they know that if they submit 10 pieces of work, 10 different jobs and they might get paid on average for one of them. They've got to charge ten times the trust for that one to be able to make some kind of living out of it . Or as an actress knowing that you're going to get paid for every single piece of content you create. The price could be a lot lot lower. And the other benefit is knowing you are going to be paid and you have been paid for that piece of content people care. So if I know I'm being paid for something I'm going to be incentivized to do a really good job of it. I want the quality to be hard because I want people to come back and keep purchasing content from me. So rather trying to make it a quantity thing where you're trying to produce as much content as possible to hopefully get paid one in ten to one in 50 times, the promise to the intake rate is being paid every time the quality is much much higher. And the process per image is a lot more affordable. Salena: And I guess that like you said the k factor comes in. But also if they're not having to shoot 50 pictures they're only having to shoot 10 pages the time and the care that they spend on it is going to be you know potentially five times more because they know that they're getting paid. Scott: Yes exactly that's exactly why we set things up this way. And that's why we've got such happy customers all over the world. Salena: That's fantastic. I really. Congratulations because I know the gig economy can be hard but the fact that you're out there committing to making sure that everybody gets paid for the effort that they put in and we're not just not just breaking some, you know a lot of people just want exposure will. Well, you're actually out there making sure that people can earn a living doing this thing. Because of visual content; I am very visually, I was going to say visually impaired but that's not the right word... creatively challenged. Ok so I completely appreciate what great photographers, what great graphic designers, what great content creators can do. Because I just know that even on my best day I couldn't create the worst of what they could ever do. So I think that I think that it's definitely; there's a whole market of people out there. And let's talk a little bit about the different types of visual content that they are. Because people are thinking or I could use it in my social. Or I could use it on my website. But what different types of visual content do you create, and should we be using? Scott: So we do ask as part of the brief, we ask where is the content is going to be used. We try to sort of adapt to that a little bit but images can be used anywhere. So on your Website, you know the right banners and the images that are sort of front and center, product pages Nady images to support it. As we mentioned before the stats really show that it can help sort conversions by having that style-content supporting straight productions. So other places like your website using it. Obviously social media being visual content, Instagram is probably the number one. Pinterest is another one but it goes across all forms of social whether using it on Facebook, Messengers...because it is becoming very popular. So that's the organic social side of things. Then there's also the paid social. So if you were running ads on Facebook or Instagram, the two things that are really important to make that successful are volume and variety. So rather than spending all your money and so on one image and then putting as much money behind that as possible, you're better off getting 50 images and testing them and seeing what resonates with your customers and then focusing on those handfuls that really didn't really generate the results. Salena: So I was going to say that you can never tell which picture is going to work. Sometimes the most ugliest pictures get the best results. Scott: Exactly. So you still want to have some quality there. But the volume and variety are the two main factors that help. So paid advertising is another one. PDN is one as well. So sending out your e-mail marketing a lot of people use stock images for that if you're thinking long term of building your brand, having images that are about your brand are important. So that's another option. Point of sale material so if you got a retail store. You're selling through a store, having material there, physical material is another one. And the options, there are probably going to be more coming as well. So having great imagery that can be used across any of the channels. And if you see one resonating really well in the channels that you put up and they get the most likes then you might take that and feature that somewhere else, maybe it's on your website or maybe it's in paid advertising. So being able to use them across different channels is important as well. Salena: You said something there about the Pinterest market. And then we talk about Website banners and it made me realize that when you're putting these brief together and tell me if you have this in your questions. But it is so important to know whether you need landscape or portrait pictures. Because essentially on something like Facebook ads or on a Website banner you need a landscape image. But for most website for most e-commerce platforms and things like Instagram and even Pinterest you need the portrait images. So making sure you have a mix of both. And I have to say I have been caught out here. When I got my first lot of photos done from my website, I got so many portrait ones and then I went to go to the Website and all these here images are in landscape and realized I hardly had any. So is that a question that you ask people. You know the platforms they are intending on using it. So that you can make sure that you get the right. What's the word orientation? Scott: Definitely. So we do ask that we ask where is it going to be used and if there's a set orientation. Out default position is to go for a mix. So you know we could try to provide content where it could be cropped either way. If that's a priority or if they don't know where they're going to use it we will provide a mix of landscape and portrait and things that could be cropped in different ways. But we do ask that we ask what's the purpose of the content, where are you going to be using it? And if it's any specific requirements around that schedule portrait or it might be other things that need that we need to know about. Salena: What's the biggest problem or the biggest obstacle or biggest mistake that you see people encounter when it comes to visual content. Scott: That's a tough one. I think there's many, it depends on the types. We work with the various markets or often big multinational companies. I'm thinking about starting a shop or store next week help. Depending on the market we see different mistakes. I think the mistakes a lot of large brands are making these days are using professional content where it shouldn't be used. So taking a catalog shot from a big retailer and stick it on Instagram. It won't resonate with people it won't work. People want to see authenticity. They want to see people they relate to. They want to see scenarios they can relate to. So that's a mistake we see quite often. I think when we get to small clients again it's using; setting up especially e-commerce stores, or setting up a just bad quality imagery on their stores and not prioritizing it. Salena: I have to just jump in there because bad quality images like I have to speak up about bad quality images. It's just not worth it guys. Salena: So you do need those high-quality shots that feature the product with the white background and make it clear what the product is, they're really important. So having those on there. But also supporting that with other types of materials like what we do and the combination of both is where you can get some really good results. Scott: So it's using the wrong content in the wrong places. This is something we see quite often and just not prioritizing the visuals which is you know it's the of your brand. It's the first thing everyone sees and that's where they going to make the first impression and that's going to last. Salena: There are two of probably the most important things. I think the concept of using the right content on the right channel, guys where do you end up using UGC or not this is so important. Because we can all sniff out a stock photo from a mile away. I don't care which one you're using whether you're using something like adobe or deposit photos right through to the really odd ones. We can all spot a photo. We know what they look like. So that concept of making sure that what people are seeing, they are not just in the back of their mind. They're not just going, that's too curated, that too stock, that's too boring it doesn't resonate with me. This is the important thing. And like you saying what you show on something like Pinterest is so completely different to what you might put on Instagram as to what you might put on Facebook. And in this day and age of having to be on every platform, it is, I'll put my hand up, I'm certainly one of the people who he does this. Just posting everything from Instagram to Facebook. And knowing that it's kind of the lazy way because you trying to get everything covered in as little time as possible. But knowing that some of that stuff is just not going to translate to the end user. Scott: Exactly I think it's really important to have sort of testing methodology so it's working out what's going to resonate with your customers on what channel and focusing on that. Rather than just sort of making sure we put something out there. Emails probably the biggest one. I'm sure by the time we get through this podcast everybody is listening will receive an email. And there's an image of a laptop with a coffee cup next to it. Salena: The desk, the desk with the coffee cup and the Mac. Scott: And it could be any brand, who knows who it's from. It's just the same image over and over because people feel they need to add an image in there or something. And that's that's kind of where we've come from but that's not the hallmark that's going to work in the future. You're going to have to have things that... people want personalization. They want to know that's your brand. They want something that's relevant to them and they think that's where things are heading. Salena: They want to feel connected. They don't want to feel like your stock photo. In retail you can't base stock photo I don't think. Stock photos have a place but knowing when and where to use them is the way the creative challenge device sometimes fall down on some day. OK. I'm sure people are already thinking this sounds like something that I would like to look at. Guys I can tell you now it is not super expensive it is probably within the realms of everybody who's listening but listening budget. So where can people find out more about creatively squared? Scott: So the first thing to check is our website creativelysquared.com. I mean it's got how everything works. It's got examples of content, all about crossings, transparent upfront. So our images start from $59 Australian per image and go up to $75 depending on the size of the image packaging you purchase. And again that's indefinite exclusive license that comes along with all of them. Salena: Yeah and that's perfectly curated and I know you said you are talking about potentially a subscription model later in the year. So if you're listening to this podcast a little bit after it goes out. Just be aware that obviously process may change a little bit. But we're also talking at the moment at the time of recording in Australian dollars. So for all you Americans that's like 25 percent less. Salena: With the current exchange rate. So it is a super bargain no matter where you are on the planet. Thank you. Scott: And just highlighting that we do have Content creators globally so we've got people in over 100 countries. We've got customers in the U.S. and the U.K. and Singapore and Australia, New Zealand and we've got the creative network to help people with localized content creators anywhere. You are free to jump on and have a look. Salena: Yes. Thank you for mentioning that because I meant to do that and I didn't. Well thank you so much for coming on and sharing it. We love the stats guys three to four hundred percent increasing purchases of images with visuals on your website and just knowing that you can build up that engagement with really great content on your social on your website. So thank you Scott for sharing all of that with us. Scott: That's right. Thanks for having me. Scott Thomas is the co-founder of Creatively Squared alongside his wife, Ruth Stephensen. He completed his MBA from the University of Queensland thinking that he wanted to grow his career prospects. He has an analytical background, particularly in research development and microbiology. After completing his MBA, he was hooked on the concept of innovation and he changed his career to follow a path that would eventually lead him to launch his own startup, Creatively Squared. Scott focuses on the behind-the-scenes systems and business side of Creatively Squared. Creatively Squared is a startup which pairs creatives with brands looking to utilise more engaging visual content. His strategy and constant innovation ensure that the company is headed in the right direction. He believes visual is important for startups and uses tools to create better content.